Mississippi has 25 great state parks, of those, 12 offer cabins to sleep families of 6 or more. Staying at a state park is a great way to relax and spend some family time together. Visit their reservation system to book your outdoor summer getaway. Situated on the shores of Enid Lake, George Payne Cossar State Park is a sportsman’s paradise. Most of the land around the lake and in nearby Holly Springs National Forest is open for public hunting and is abundant in a variety of game. Fisherman will enjoy trying to beat the world record crappie, weighing in at over five pounds, that was pulled from Enid Lake. Located on scenic Grenada Lake, Hugh White State Park offers the finest outdoor recreation amenities available, all nestled in a setting unmatched in natural beauty. Grenada Lake is best known as a haven for crappie fishermen, but is also well-stocked with bass, bream, and catfish. Hugh White State Park is centrally located between Memphis, Tennessee and Jackson, Mississippi. Selet duplex cabins perched on a bluff overlooking Grenada Lake can sleep families of 6. Perched on a rocky bluff overlooking the Tennessee River, J.P. Coleman State Park offers the finest in all types of water sports. Visitors experience unmatched sailing, swimming, skiing, and fishing for Smallmouth bass in the sparkling waters of Pickwick Lake, and enjoy exploring in the untamed wilderness along the banks of the Tennessee River. Big families of up to 8 should look at the available townhouses for overnight options. Each townhouse features two bedrooms, two bathrooms, and a great room. The bedrooms have two queen beds each and a balcony overlooking the river. The great room is located on the ground level and features a full-size kitchen, serving counter, dining area, and seating area. The great room opens to a patio overlooking Pickwick Lake. Nestled in the shade of towering hardwood trees, Lake Lincoln State Park is the quintessence of serenity. Located in the northeast corner of Lincoln County, the park’s close proximity to Interstate 55, U.S. Highway 51 and State Highway 27 provides easy access for visitors. Lake Lincoln presently has one cabin which features central heat and air conditioning, a screened porch, two queen size beds, kitchen and living area. 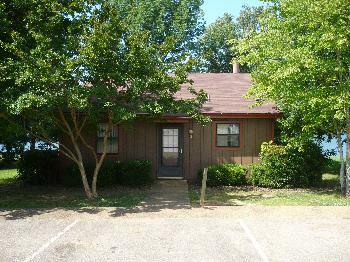 The cabin is furnished with bed and bath linens and basic kitchen equipment. 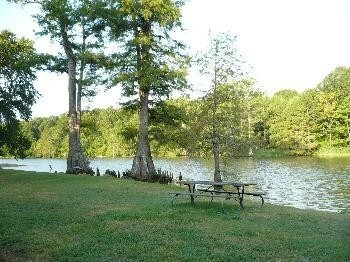 Lake Lowndes is located on a beautiful 150-acre lake. The park offers unlimited opportunities for fishing and camping, softball, tennis, and football. 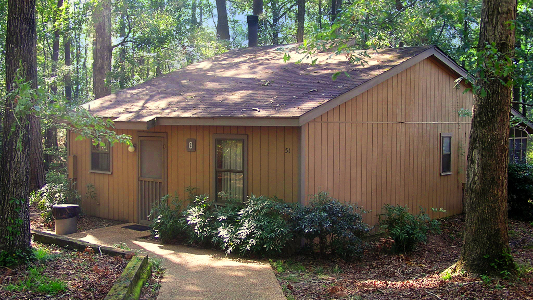 Lake Lowndes State Park features six cabins that sleep six people. Each cabin is equipped with bed and bath linens and basic kitchen utensils. All cabins are furnished with a refrigerator, stove, and microwave, as well as a bathroom with a shower. Each cabin features a deck, grill, central heat and air conditioning, patio furniture, and affords a lovely view of Lake Lowndes. 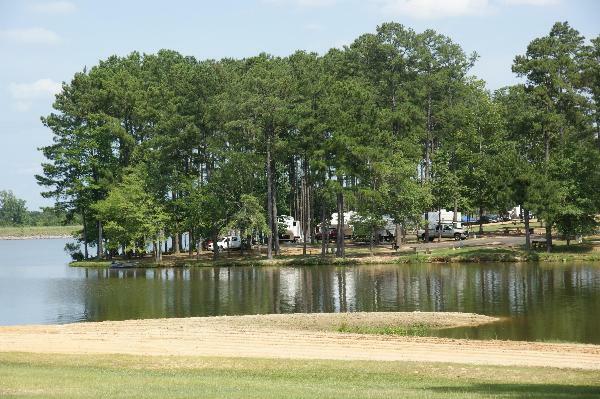 Enjoy plenty to do with an amphitheater, disc golf, gym, picnic area/pavilions, playground, playing fields, tennis and trails, plus Lake Lowndes offers a 150 acre of freshwater fishing, boat launch, and water skiing. Leroy Percy is the oldest of the Mississippi’s State Parks. It is characterized by artesian springs, cypress trees, and ancient oaks dripping with Spanish moss. Leroy Percy is one of two state parks that features a wildlife management area. Leroy Percy features eight family cabins that sleep 6, 7, 8 near Alligator Lake, providing a comfortable retreat for vacationers. Each cabin is air-conditioned and heated, equipped with bed and bath linens. The cabins also have basic kitchen equipment and feature a stone or modern fireplace. Natchez State Park is located just 10 miles north historic Natchez, the oldest settlement on the Mississippi River. Prior to the Civil War, over half of the millionaires in the entire United States lived in Natchez, constructing elegant mansions unrivaled in size and elegance by any in the nation. Most of these splendid homes were spared during the Civil War, and many are now open for tours. 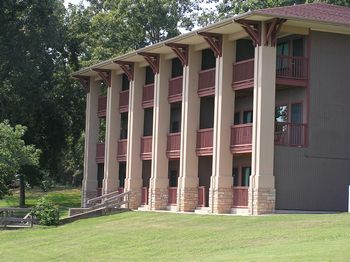 Natchez State Park features ten lakeside, air-conditioned cabins that sleep 6 and are equipped with bed and bath linens and basic kitchen equipment. Reservations are strongly recommended. Loblolly pines and stately magnolia trees, rolling hills, spectacular seasonal flowers, and a year-round mild climate await visitors to Percy Quin State Park. Located just one and a half hours from New Orleans, Percy Quin State Park is one of the original state parks cleared and constructed by the Civilian Conservation Corps in the 1930s. Percy Quin features 27 cabins which are furnished with bed and bath linens and basic kitchen equipment. All cabins provide a view of Lake Tangipahoa, and are air-conditioned and heated, have private porches, and many have a fireplace. Outdoors, a picnic table and grill are provided. Available cabins sleep 6, 8, 10, and 12. Four lakefront cottages are available for rental. The cottages feature a den with dining and kitchen, bathroom and bedrooms. One cottage has three bedrooms and sleeps six. Cottages are furnished with central heat and air conditioning, bed and bath linens, a refrigerator, stove, microwave and coffee pot. Outdoors, a picnic table and grill are provided. The park offers two golf villas that provide views of Quail Hollow Golf Course. The golf villas feature a great/dining room, kitchen, four bedrooms, and private porch. Each golf villa can sleep 12. 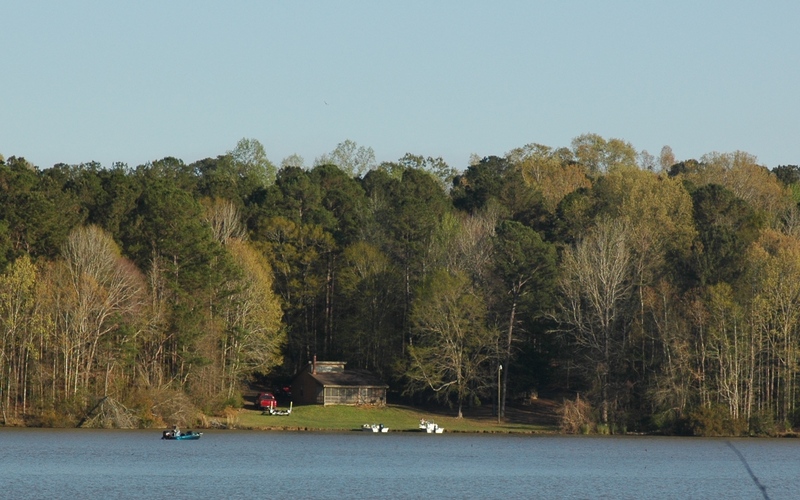 Conveniently located between Meridian and Jackson, Mississippi, Roosevelt State Park offers an abundance of outdoor recreational opportunities in a picturesque setting. The park’s scenic overlook provides a panoramic view of the Bienville National Forest. Fishing, boating, and water skiing are available on Shadow Lake, a 150-acre freshwater lake. Roosevelt features 15 cabins with beautiful views of Shadow Lake. Cabins are furnished with queen size beds, bed and bath linens, television, and basic kitchen equipment. All cabins are air-conditioned and heated. Every cabin features a screened-in porch. Cabin options sleep 6, 8, 10, 12. A variety of recreational activities and facilities are available at Roosevelt State Park. Facilities for use include a visitor center, banquet hall, meeting rooms, game room, performing arts & media center, picnic area, picnic pavilions, playgrounds, disc golf, softball field, swimming pool and water slide, tennis courts, and nature trails. Located just six miles south of Tupelo, Mississippi – Tombigbee State Park offers the finest in outdoor recreation opportunities minutes from one of Mississippi’s premier shopping, dining, and entertainment areas. Tupelo is the site of the bi-annual Tupelo Furniture Market, home of the Elvis Presley Birthplace, and the headquarters of the Natchez Trace Parkway. 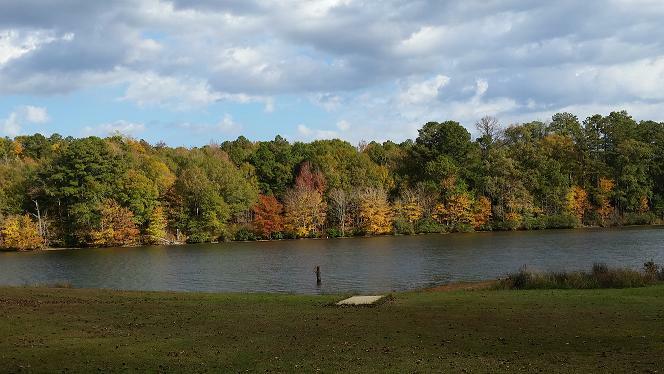 Tombigbee features seven air-conditioned cabins offering forest and lake views. Cabins are equipped with basic kitchen equipment, bed and bath linens, tv, and feature fire places and screened porches or patios. Two cabins can sleep 6. 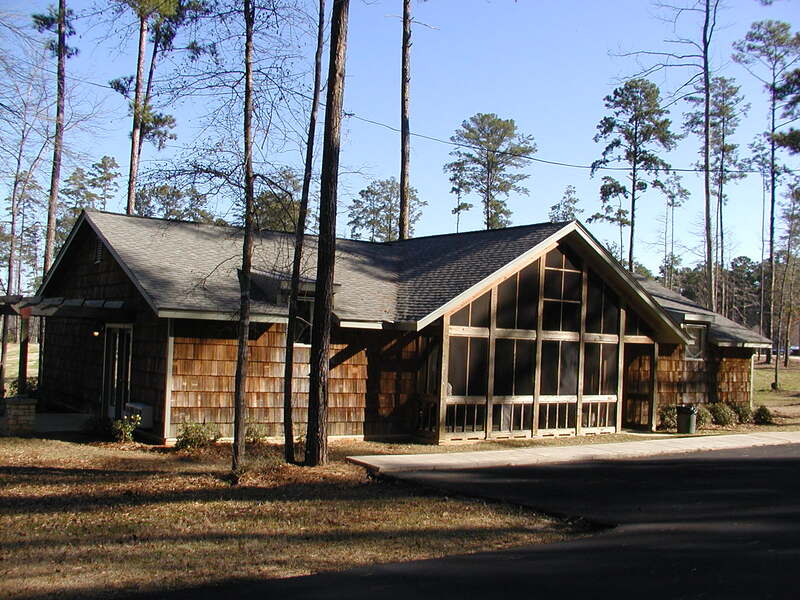 Activities and recreational facilities available at Tombigbee State Park include: picnic area with tables and grills, picnic pavilions, meeting room and banquet facilities, children’s playground, multi-use field, volley ball, disc golf, nature trail, and fishing on Lake Lee. Trace State Park offers a quiet, natural retreat located just minutes from the excitement of Tupelo, one of Mississippi’s fastest growing cities. Trace State Park offers a variety of outdoor activities ranging from fishing and water sports to exploring miles of secluded nature trails. Trace State Park also adds to Mississippi’s History as within the park was once called the home of one America’s early and colorful pioneers, Davy Crockett. 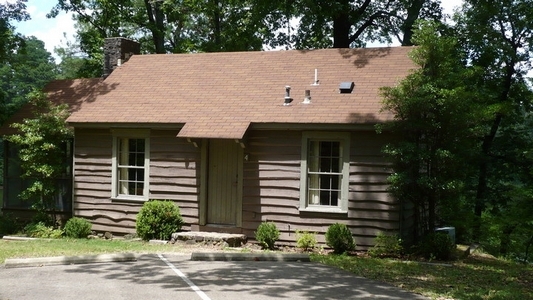 Trace State Park features ten air-conditioned cabins accommodating two to six persons, each equipped with bed and bath linens and basic kitchen equipment. 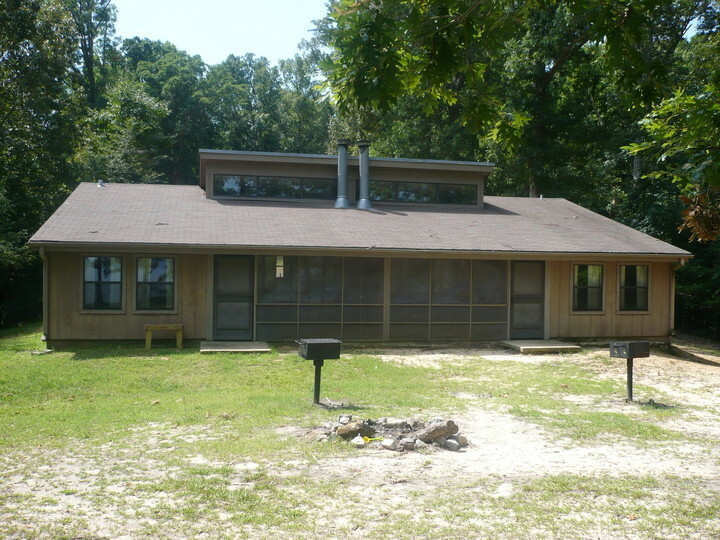 Cabins feature outdoor grills and back porches and are located lakeside overlooking Trace Lake. A variety of recreational activities and facilities are available at Trace State Park. Facilities for use include two playground areas, picnic sites, a large picnic pavilion and a laundry facility. Recreation activities include disc golf, non-motorized and motorized trails and access to a bordering 18-hole golf course. Water activities include a 565 acre lake. Wall Doxey State Park offers an abundance of outdoor recreation opportunities in a setting rich in natural beauty. Centered around a 60 acre, spring-fed lake, Wall Doxey is only forty miles from the exciting shopping, restaurants, and attractions of Memphis, Tennessee, and is just 7 miles from the splendid antebellum homes of Holly Springs, Mississippi. Wall Doxey features nine air-conditioned cabins offering forest or lake views. Accommodating four to seven persons, cabins are equipped with bed and bath linens, TV, and fireplace. All cabins, except cabin 6 and 7, have screened porches which provide a relaxing atmosphere. 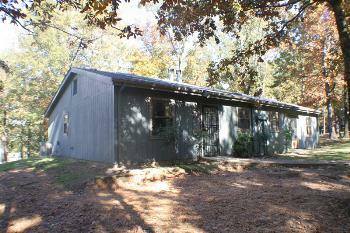 Cabin C003 sleeps 7. Want to visit the great parks but don’t want to stay in a cabin? 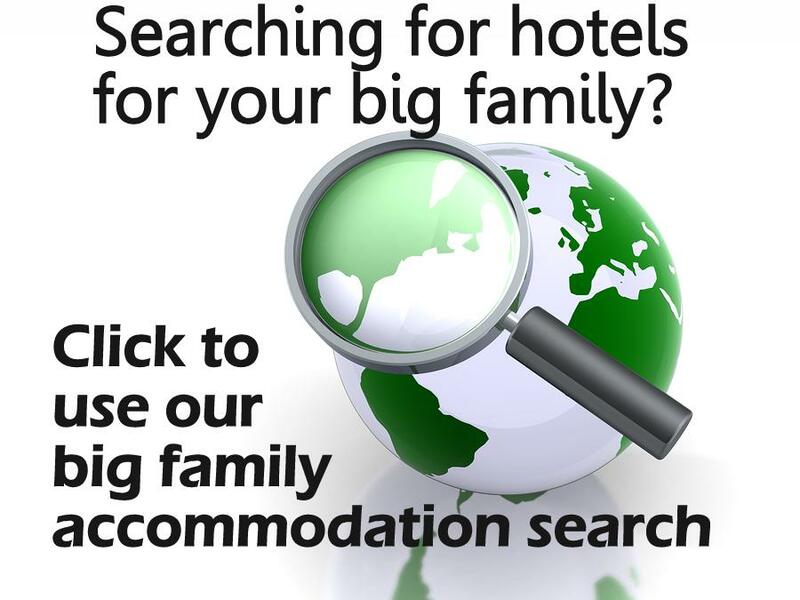 Check out our database of big family friendly hotels in Mississippi.